A busy mum who ran out of fruits and vegetables was sent a “strongly worded note” for packing Oreos for her daughter in her lunch box. The school felt that it was reminding the parent about the nutritional practices, but many feel that it was an over the top reaction. Colorado mum Leeza Pearson had packed a routine lunch box for her daughter which included string cheese and a sandwich. Since she had run out of fruits and vegetables, she packed in Oreos for her daughter Natalie. But the pre-schooler returned home without eating her snack and brought home a note from the teacher advising parents of the importance of eating healthy. According to ABC news, the school did not allow the pre-schooler to eat her lunch, sending the mum an advisory note instead. The note said “this is a public school setting and all children are required to bring in fruits, vegetables and a healthy snack along with milk. Lunchables, chips, peanut butter and snacks are not considered healthy.” This reaction has been considered by many as “over the top.” Pearson told ABC news that she had packed in a vegetable sandwich along with cheese in the lunch box and this was also ignored. The spokeswoman for Aurora Public Schools, Patty Moon, (via 9News) said that the note sent out was not a standard practice and should be viewed as an advisory. The Director of Children’s Academy, where Pearson’s daughter is a student, also added that it would conduct a thorough investigation and acknowledged that the note should not have been sent to a parent. Pearson, on the other hand, said that the school was not consistent about its policies. She said that the school had asked students to bring in candy for Easter celebrations and provided students with jelly beans during after-care. Lunch Shaming the parents has got the fancy of social media with tweets supporting the mum coming in. 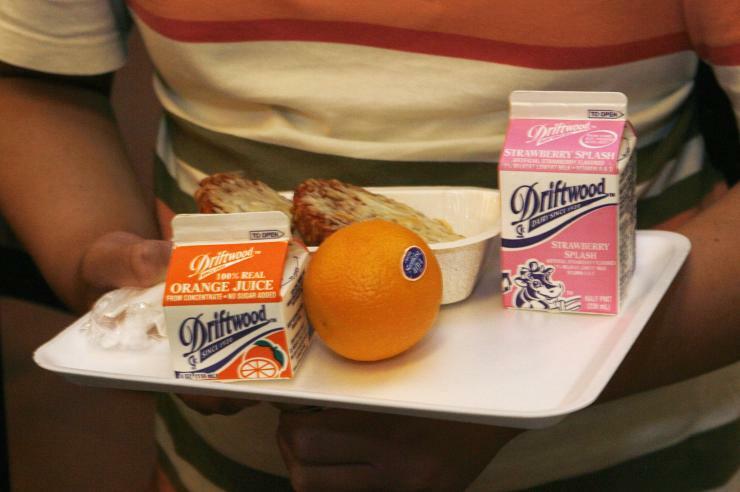 In USA, there is a strong movement for healthy school lunches. First Lady Michelle Obama has been a vocal supporter of campaigns for eating healthy. This entry was posted on May 2, 2015 at 11:21 pm and is filed under Uncategorized. You can follow any responses to this entry through the RSS 2.0 feed. You can leave a response, or trackback from your own site.